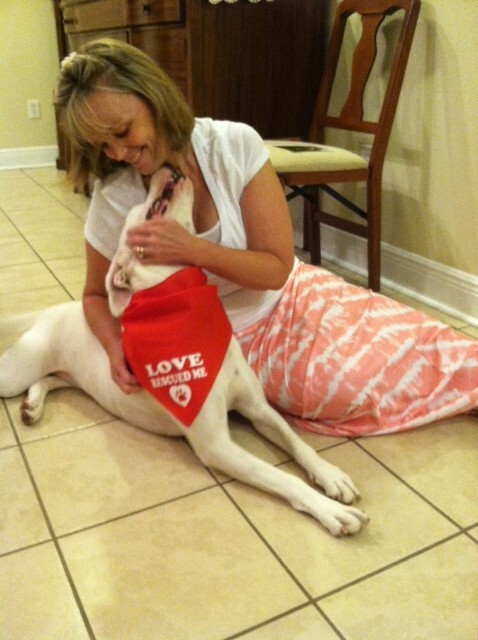 Pet Bandanna Giveways – Countdown to August 5 – SHELTER ME! I have a stack of these cool pet bandannas that read “Love Rescued Me” to celebrate the weeklong countdown to the release of SHELTER ME!! If you would like one, email me at CatherineMannPR@gmail.com with your snail mail address. I’ll pick winners throughout the countdown as long as supplies last. 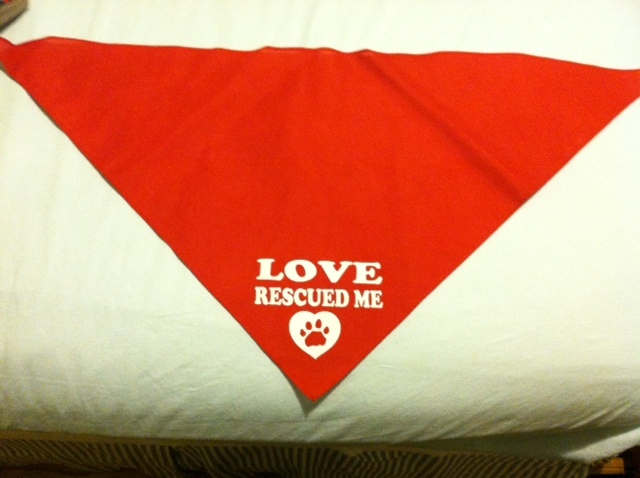 It would be awesome if you also took a photo of your pet in the bandanna and posted it on the internet! Above is a photo of me with my dog Faith. A year ago, she was a tiny, sick puppy I fostered for the Panhandle Animal Welfare Society. 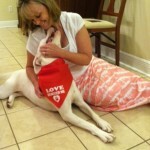 Now, she’s a happy healthy girl, adopted into our family. I’ll be posting other photos on the internet of my family with their rescue pets as well! 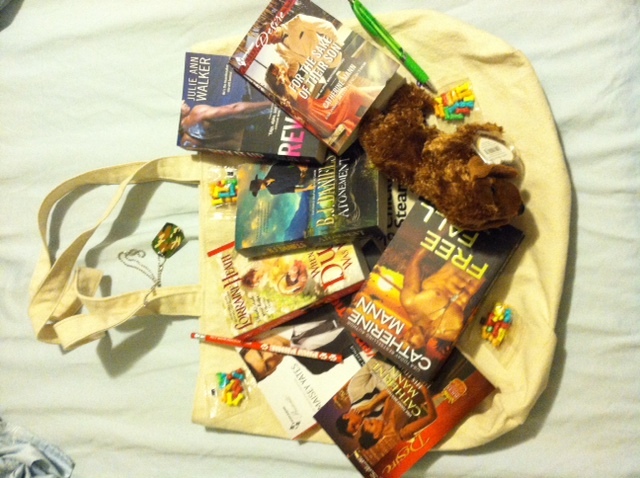 Don’t forget, I’m also running a weeklong contest to win a bag of full of books. Comment below and you’ll be entered to win. If you’ve been following my journeys with fostering, add the name of one of my former fosters (other than Faith) and you’ll be entered twice! 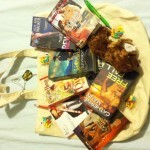 Not much longer until Tuesday, August 5 and the launch of SHELTER ME!